Those who are searching for a little excitement in Sweden do not have to go further than North of Sweden where you will find the fascinating wilderness of Lapland. 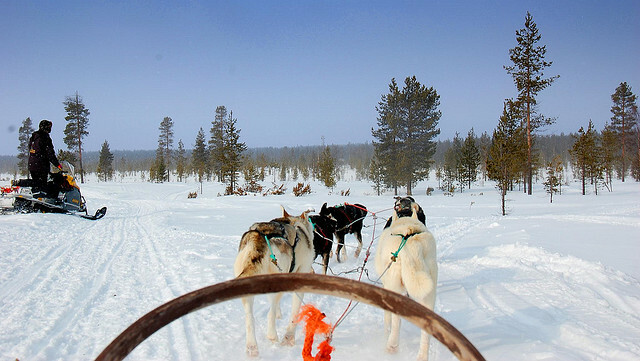 A Lapland holiday offer great adventures and excitement in the most stunning landscape, that one can imagine. Our guide is about Lapland,as a real adventure, we intended to give you some basic information about the adventures that is waiting for you in Lapland. So start planning your holiday because Lapland is a must for every traveler to Sweden. 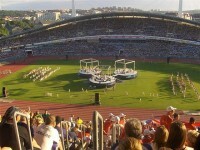 Lapland is easily accessible from the capital city, from Stockholm by plane and by overnight trains as well. The last one it takes about 15 hours, but it definitely worth it, as soon as you see the vast, dramatic and spectacular scenery of Lapland. 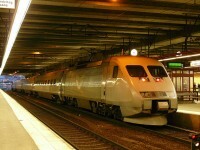 The flight is just 1, 5 h from Stockholm and the airport is just 20 minutes journey from Kiruna. 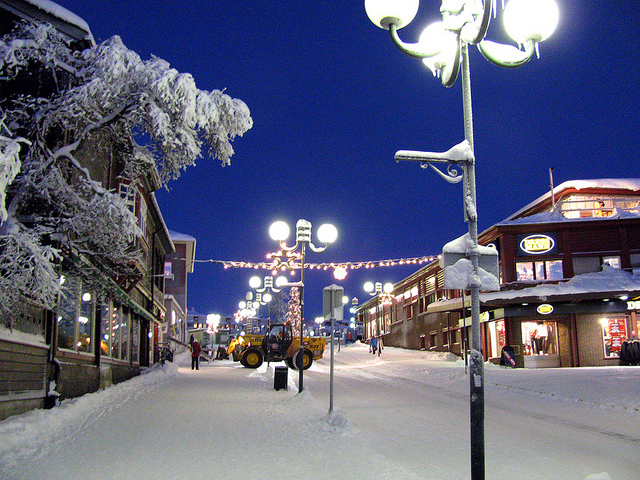 The main destination for travelers to Lapland is the town called Kiruna. 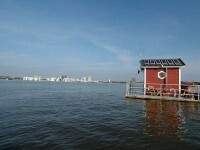 This pleasant town offers numerous accommodations for visitors. It is a very idyllic town with small shopping center and some restaurants. If you visit the town in January you can take part in the Kiruna Snow Festival,which has some exciting activities such as the reindeer race, scooter jump show, kick sled race winter fashion show and the popular winter fair. Being the most adventurous places, Lapland offers many activities as Sweden’s highest mountains can be found here, such a massive mountain resorts are: Björkliden , Riksgränsen,Abisco and Kebnekaise, so it is a real paradise for hikers and skiers. 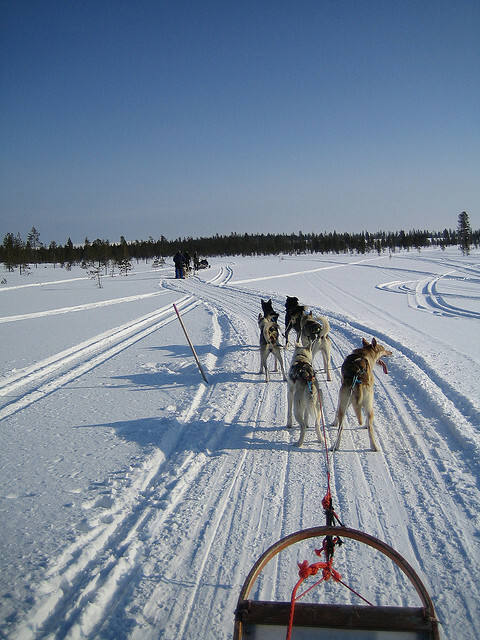 Ice driving, snowmobiles and dog sledges are also very popular activities in the area. Discover the magic northern light which appears on the horizon in the night. It is a spectacular experience when red and green flames stretch across the sky waving and swirling in front of your eyes. Visiting the ice hotel is a must for every traveler to the Lapland as it is located in the town of Jukkasjärvi, less than 13 km from Kiruna. It was first constructed in 1990 since than it is rebuilt in every winter. 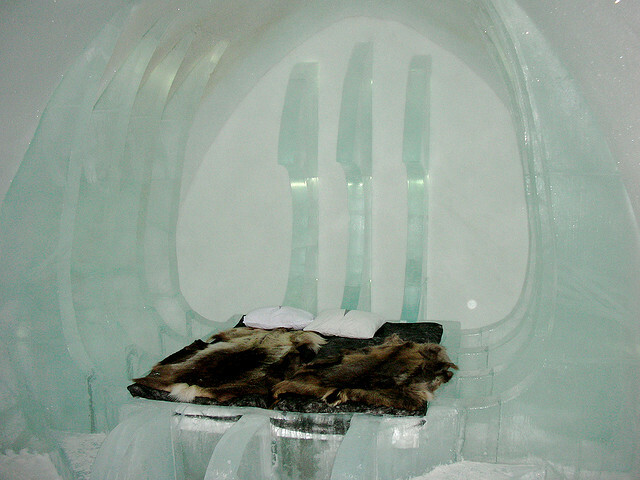 Visiting the hotel is a really unique experience as visitors are in ice rooms, surrounded by ice walls, ice ceiling and ice furniture. Being a true adventure, you can drink in iced bar and even sleep in the hotel.